October 31, 2000: "Trepidation" wins iVillage's 1st Annual Halloween Fiction Contest. 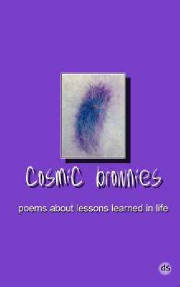 May 5 '01: Collection of poems published by HawkWind Creations. May 20 '01: "Elsie Cardoza" places in IVillage's Poetry Slam. May 25 '01: "From the Journal of:" wins short story catagory for the SciFi/Fantasy Writers Board at IVillage. May 25 '01: "The Thorne Documents" wins the prologue catagory for the SciFi/Fantasy Writers Board at IVillage. August 2 '01: "Hostage" published by Fluid Ink Press in their August update issue. September '01: Poem - "The Demise of Jonathan Ivers" in Friends of Darkness. September '01: Poem - "High Tea with Victoria in the Sanatorium" published at Dark Moon Rising. November '01: Short Story - "From the Journal of: ..." (SciFi/Fantasy) published in Dark Moon Rising. May: Casa de los Muertos wins First Place in the Third Annual iVillage Poetry Slam. June: Office Politics wins Short Story Category in IVillage's annual SciFi/Fantasy/Horror Contest. Illegal Aliens takes first place in the Flash Fiction Category. 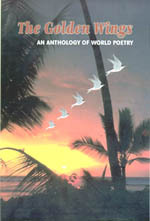 September 2002: Golden Wings - Anthology of World Poetry (Hardcover) Reunion Sold via mail-order from publisher *Cover/link to the publisher at the bottom of this page. 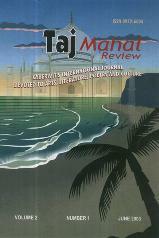 December: Taj Mahal Review (softcover) publishes Death of a Warrior: Tepia's Lament. Sold via mail-order from the publisher. *Cover/link to the publisher at the bottom of this page. 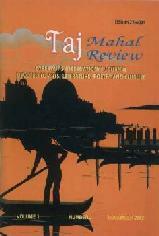 June: "Atmospheric Pressure" Taj Mahal Review, Volume 2 *Cover/link to the publisher at the bottom of this page. July: "Office Politics" in House of Pain's Summer Issue Volume 7. July: "Honora's Melancholia Takes Form" published in Dark Dwelling. 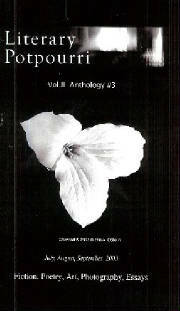 Literary Potpourri Anthology Volume 2, Anthology III goes on sale. *Cover/link to the publisher at the bottom of this page. September: "Illegal Aliens" published in "Other Worlds: Alien Alerts" - a SciFi anthology by Branch and Vine Publishers. *Cover/link to the publisher at the bottom of this page. September: "The Last Written Confession..." published in the Halloween issue of Sour Grapes. 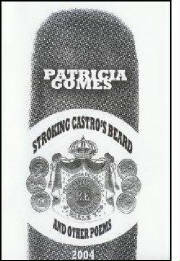 November: Lil's Experimental Ezine, Volume 1, Issue 5 publishes 2 Dada poems. "Six of Spades" & "Cinco of Spades"
December: Lily -- A Monthly Online Literary Review publishes "The Cause and Effect of Milquetoastitude" from The Dour (and Dismal!) Series in its premier issue. January: "A Sixty-second Interview with Cathi Hanauer" is published at Lil's Experimental Ezine. Due to archive issues, click here to read it. March: Interview with Robert W. Howington in Lil's Experimental Ezine. March/April: Gaea's Cauldron publishes "Day Tripping" (article w/ photos) in their Spring issue. March/April: "A Hint of Mouse" will be featured in the spring issue of The Dark Krypt. Spring: Impetus will publish "another buk joint because I can" - watch for the link. Spring: "Disposable Chopsticks for a Round-eyed God" published in Adagio Verse Quarterly. May: "The Soloist" takes 2nd place in the iVillage 5th Annual Poetry Slam 2004. July: Interview with author/editor/actress, Beverly Jackson appears in Lily. July: Interview with poet & visual artist Donna Kuhn appears in the final issue of Lil's Experimental Ezine. Click here to read it. August: Poetry Repair Shop publishes "the Mad Poet"
September: Dada poem, "King of Hearts" appears in Adagio Verse Quarterly. Fall: The Dark Krypt will publish "Where Two are Gathered." October: Interview with poet & publisher Jeffrey Spahr-Summers appears in Lily - an Online Literary Review. December: Interview with poet & publisher Michael Paul Ladanyi appears in Lily - an Online Literary Review. 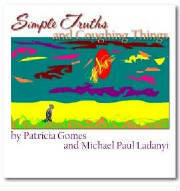 March: Simple Truths and Coughing Things, co-authored with Michael Paul Ladanyi. Available at Little Poem Press. April: An interview with David R. Surette published in Lily - an Online Literary Review. 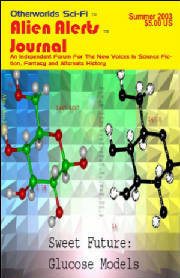 Volume 2, Issue 5. April: Poem - Mentoring: This is My Body published in Scorched Earth. April: Poem - An Assessment (formerly titled Weird) published in the University of Massachusetts Dartmouth's Temper Review. June: Poem - Berto's Folly in the June edition of Scorched Earth. Summer: Review of Kristi Swadley's Water Pistol Suicide Pose appears in AVQ. Click here to read it and other reviews. Summer: Poem - Disgrace for the Surrealistically Modern Poet published in Blue Fifth Review. Summer: Poem - Gilt Edged in Animus #15. Click Sheltering Pines Press for purchase info. In Bangor, Maine, visit Border Books for purchasing. July: Poems - By Reason Of ... & Baby's Breath (companion pieces) are published in the newly revamped Scorched Earth along with an interview on Ms. Gomes. August: Poem - A Lenten Parlor appears in Zygote in My Coffee, Issue #45. August: Poem - Culpability Behind Dark Circles in Zygote in My Coffee, Issue #46. September: Behind Closed Doors (short story) wins 3rd place in the vampire contest, Bitten. September: Poem - When it Seems Like a Good Idea, Remember appears in Mastodon Dentist. September: Poem - Christina's Apprehension appears in Zygote in my Coffee. September: Inaugural issue of Lorraine and James -- Global Urban Literature publishes "For (insert your name here), I Did Know You." October: Poem - Hortense Prepares Dinner appears in Wicked Alice. December: Premire issue of The Blueprint - An Assemblage of the Fifth Element will publish 4 poems plus artwork. A direct link will be added. February: Poem - Warm Milk and Habaneras published in Blue Fifth Review's winter issue. April: Poem - Keeping Up Appearances published in Carnelian. Mid-April: Poem - The Temptation of St. Damon is published in Artistry of Life. Early Spring: 2 poems, And, Said the Needle and Blight: The Poet on Hold will appear in the anthology Washing the Color of Water Golden from Sun Rising Poetry Press. May: Poem - On the Wrong Side of the Bourne Bridge will appear in the print anthology "Cape Cod Writers". 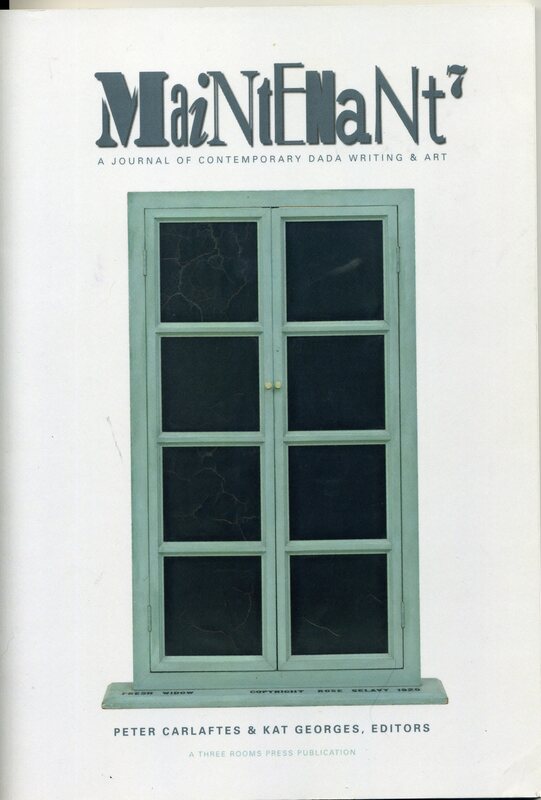 June: Poetry - The White Space of Orphans and poured over ice are published in Underground Window. 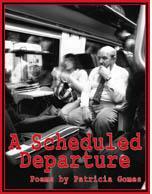 July: Poetry Ebook - A Scheduled Departure published by Lily Press. Link below. July: Poetry - By Reason Of and Baby's Breath will be published in Southern Gothic Online. September: Poetry - poem included in the upcoming anthology Susan B. and Me. Purchase info will follow publication. February: Poetry - 28 Lines in Soil and Ash will be published in Scorched Earth. April: Interview - "A Gal's Gotta Do" Betsy Lister a.k.a. Gypsypashn. Lily - an Online Literary Review. Due out April 1st. April: Poetry - The Classification of Hibiscus, and One Man's Claret will be published in Mannequin Envy. September: Poetry - "Blueprint" is published in The Bay State Echo. October 2008: Art - Mixed Media, Liar, Liar Pants on Fire (Cover), "Bush's War"
November 2008: Poetry - Poor Mojo's Almanac(k), "Drowning Noemi"
January: The Mattia Family 12th Annual Poetry Competition (Canada) "Blueprint (for all my Girls)" places in the finals. Fall 2013: Black Cat Lit will publish “Marking Time” and “Travel Log” in their inaugural issue. Little Poem Press © All rights reserved.